Alice Kingsleigh (Wasikowska) has spent the past three years sailing the high seas. Upon her return to London, she comes across a magical looking glass and returns to the fantastical realm of Underland. Reuniting with her friends the White Rabbit, Absolem, the White Queen and the Cheshire Cat, Alice must save the Hatter and Underland itself, before time runs out. 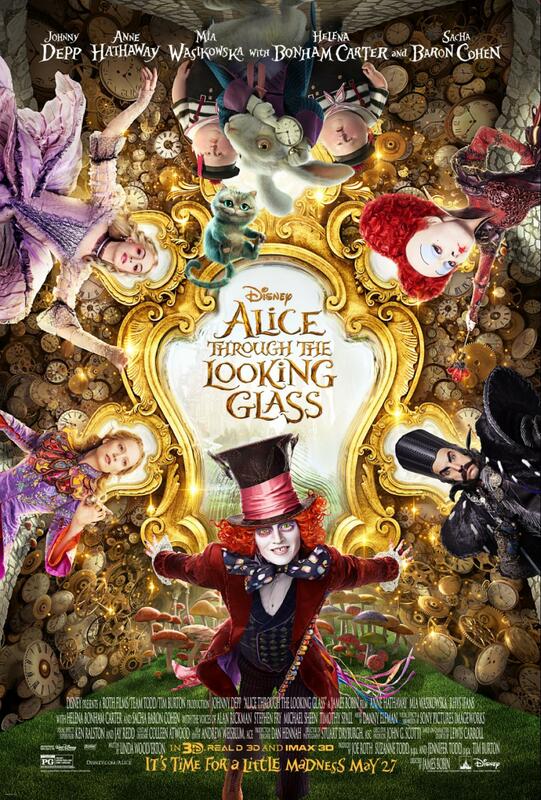 Presented in Digital 3D™, Real D 3D and IMAX® 3D, Disney’s “Alice Through the Looking Glass” opened in U.S. theaters on May 27, 2016. ← May 18, 2016 Replay! Tour Boardwalk Resort, Disney News and More!